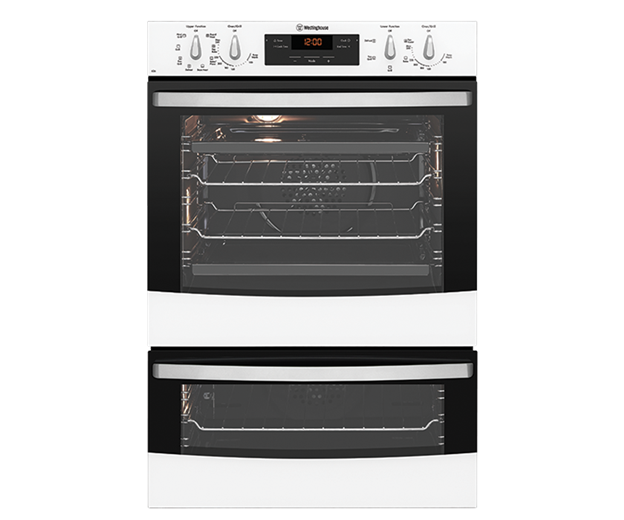 White multifunction duo oven is rated 4.6 out of 5 by 11. 596W x 568D x 888H(mm) ? Rated 5 out of 5 by Lill from WVE626W DOUBLE OVEN The oven is terrific and I love the way one can clean the doors so easy to separate the glass to clean . The biggest problem I have is when I replaced my oven ,I could not find a large oven , this oven is too small especially a few years ago I redone my kitchen all new. and now all the ovens are to small. The upright ones gone larger and the built in went smaller. my question is WHY.............Please someone explain .. You can change the fancy electrical part but the frame or shall call it the box you should never change the size. I have been looking for years to change my oven , in the end I had no choice but to get the smaller one . I would add a photo but I do not know how to do it. Rated 4 out of 5 by AMC46 from best value for my money! 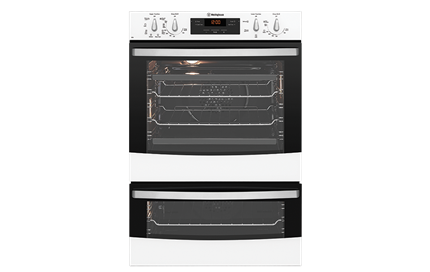 Westinghouse WVE626W double oven Best value for my money. I had a Westinghouse oven before but I thought I would “upgrade” because I wanted more than one light, triple glazed doors, big capacity and a slid and hide oven door ( which they used to have years ago) because I am short and it is difficult to get near to what I am cooking. I looked at every brand available including Neff because they have the slid and hide oven door I have compromised and bought the extra telescopic pullout shelving system. In fact Westinghouse have upgraded their Oven from the last one I bought including all other features. I wanted white but there is too much black in what I got. Most people prefer stainless steel. Rated 5 out of 5 by Lorry from Love it! I purchased this oven a couple of months ago and my review in a word...fantastic! Everything I have cooked from cakes, muffins to roast dinners of pork and chicken have all turned out perfectly. I absolutely love the dual oven which is great for keeping plates or veggies warm whilst cooking something else in the top oven. Catalytic Liners on the sides of the ovens are great. Easy to clean whic is a plus. Great product and would recommend anyone to go ahead and buy it. Rated 5 out of 5 by chiefy from Excellent product I'm sure I couldn't have made a better choice! This oven is a gem, it functions beautifully and looks fantastic in my new kitchen. 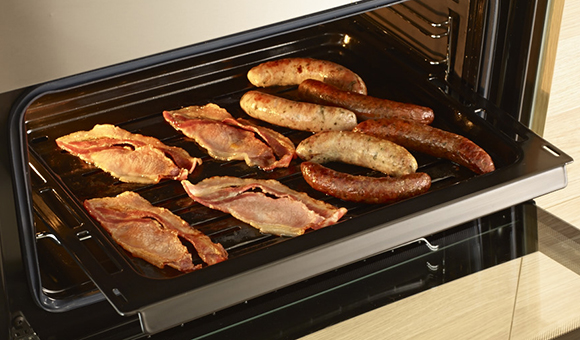 The double oven feature is great, I use the smaller one constantly, why use a big oven when only cooking for two? Highly recommended. Rated 4 out of 5 by AMC46 from Having trauled through the Internet and visited many shops, I decided on the Westinghouse. Although I wanted a slide away oven door which Westinghouse used to make, Neff was too expensive. This product is the best value for money for my needs. It is reliable, has automatic timing. 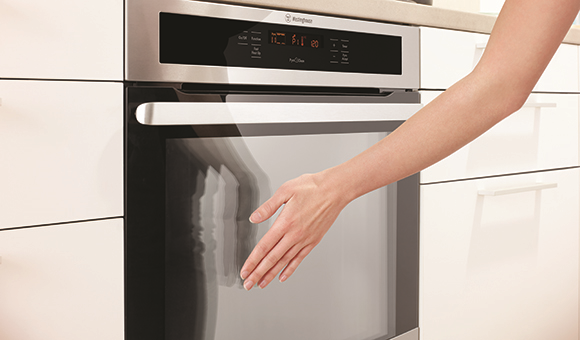 The top oven is great for family and party cooking; the half oven is best for smaller portions or for cooking a dish requiring a different temperature. The triple glaze keeps the door cool....how cool is that? Go get it! Rated 4 out of 5 by MarkP from Love it Bought this a few months ago after our old over broke down and it was time for an upgrade. Been using it to cook roast, reheating pizza... does the job. 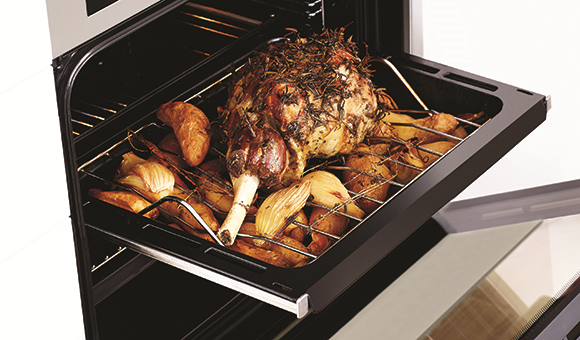 Bit smaller than previous oven but is big enough for cooking up a roast for the family. Rated 5 out of 5 by Gdaymate from Double oven, great price Bought this because it fitted into the wall space. Ended up with a multifunction, efficient and classy oven that has exceeded expectations. Heats up fast, easy to clean, great features like pizza dial, rapid heat and defrost. A keeper!